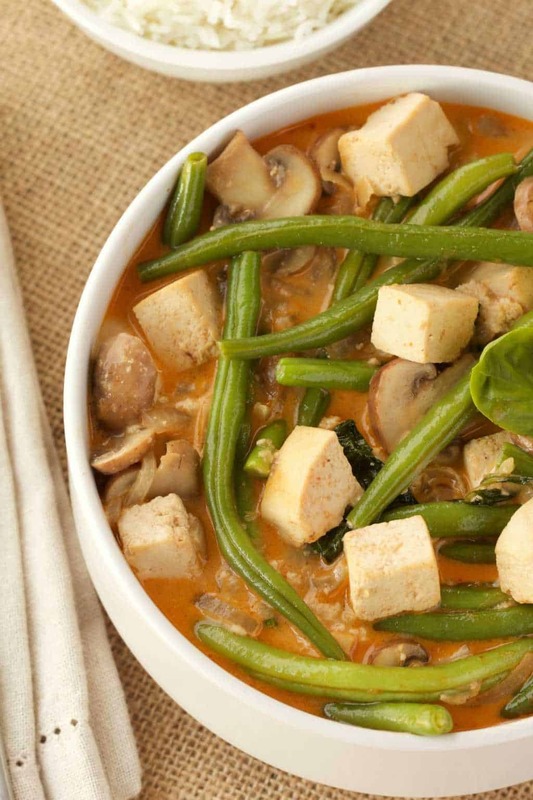 Thai red curry is one of our all-time favorite things to eat. Well, Thailand itself is one of our favorite places in the world as a holiday destination, we’ve been there at least 5 times now! Not to mention all the Thai restaurants we have frequented. 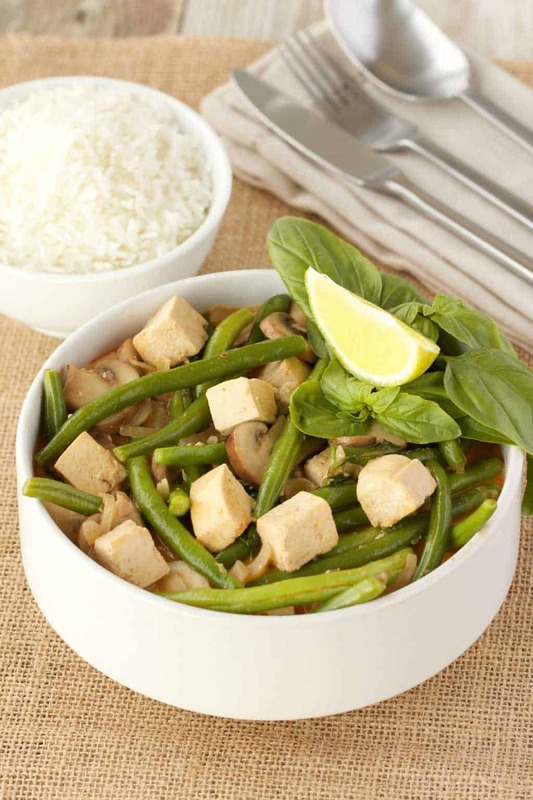 And we just never get sick of Thai curry! One of the reasons is likely that you can make it quite differently every time! 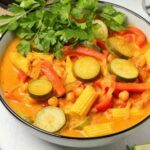 The sauce and flavorings are quite standard (coconut milk or coconut cream base, red curry paste and spices) but the veggies you put with it can be different every time. 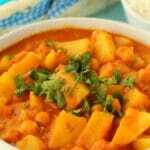 Or the same, cos you just like it so much with exactly those veggies! 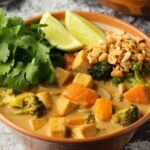 We made a red curry for our cookbook: Simple Vegan Dinner Recipes that is totally divine but completely different to this one! And I’m pretty sure there’ll be more variations on this blog in the future! It’s a versatile and fabulously gourmet meal. 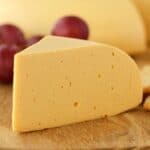 It’s ideal for a fancy dinner party and a regular Tuesday night at home! It’s quick, easy and the pay-off is big. 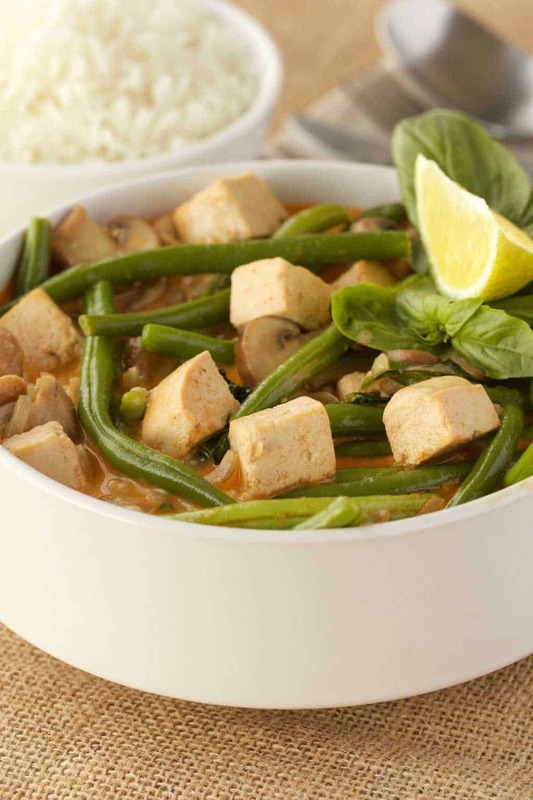 This Thai red curry is made with mushrooms, green beans, fresh basil and tofu and cooked in a rich sauce of coconut cream, red curry paste, garlic, ginger and soy sauce. The green beans are blanched in hot water before being added to the sauce just a few minutes before serving so they remain perfectly firm and al dente. 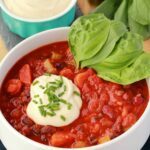 Serve with basmati rice or cauliflower rice, fresh lime and fresh basil for a super impressive and delicious dinner. 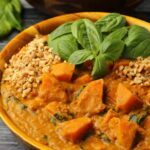 Leftovers keep very well and can be reheated the next day or even served cold, it’s delicious either way! 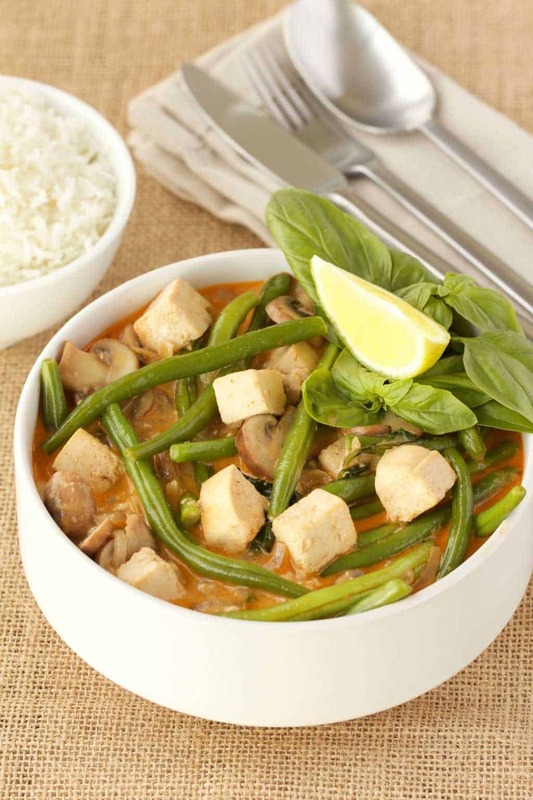 So what do you think of this thai red curry? Going to make it soon? Let us know in the comments! 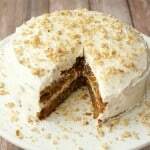 And if you do make this recipe, please rate it and let us know how it turned out! 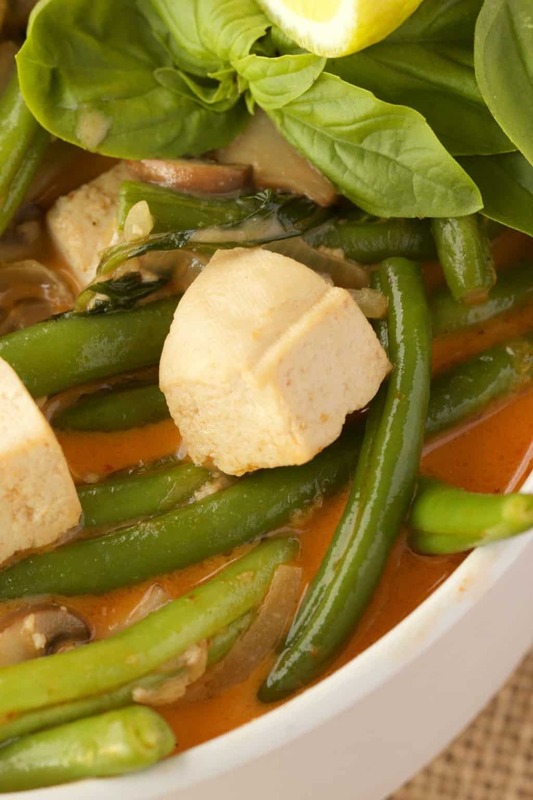 Rich and mildly spicy Thai red curry with tofu and green beans. 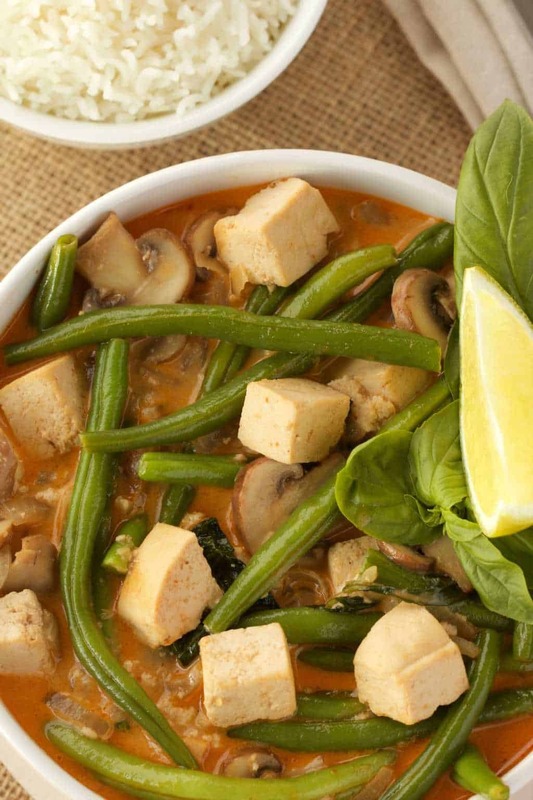 This veggie-packed vegan red curry is super simple to make yet gourmet to the extreme! 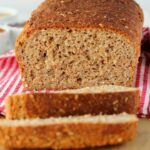 Perfect for a fancy dinner but easy enough for a regular weeknight dinner too! Wash and chop the ends off the green beans. Boil a pot with 2 liters of water and when boiling, add in the green beans with 1/2 tsp salt and blanche them for 3 minutes. Then drain and set aside. Add the onion, garlic and minced ginger to a pot with the sesame oil and sauté until the onions are starting to soften, then add in the red curry paste and stir fry together. Add in the tofu and stir fry for a few minutes. 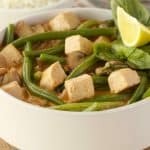 Add in the coconut cream and soy sauce and bring to a simmer. Then add in the mushrooms and let that simmer for a few minutes until the mushrooms are slightly softened. Add in the green beans and the basil and simmer for a few minutes. 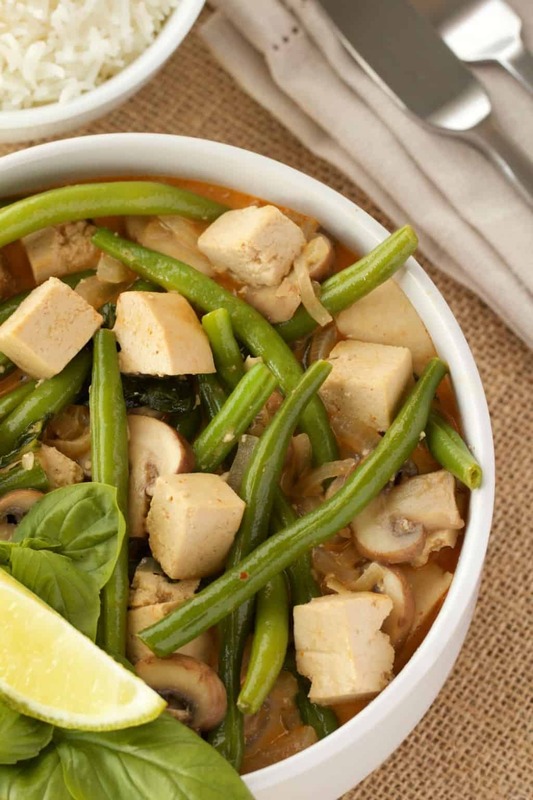 You don’t want the green beans to get too soft here, so don’t take too long on this step. Add in the coconut sugar to taste and extra salt/pepper as needed. 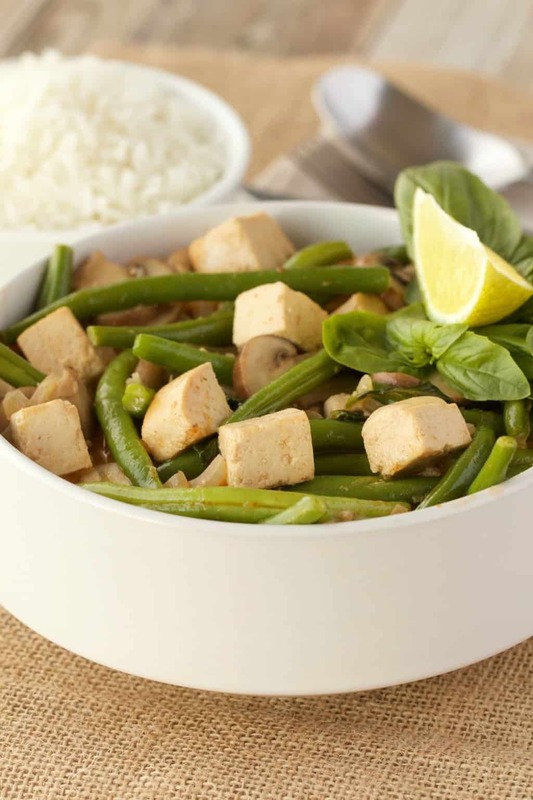 Serve with rice, fresh basil and fresh lime. 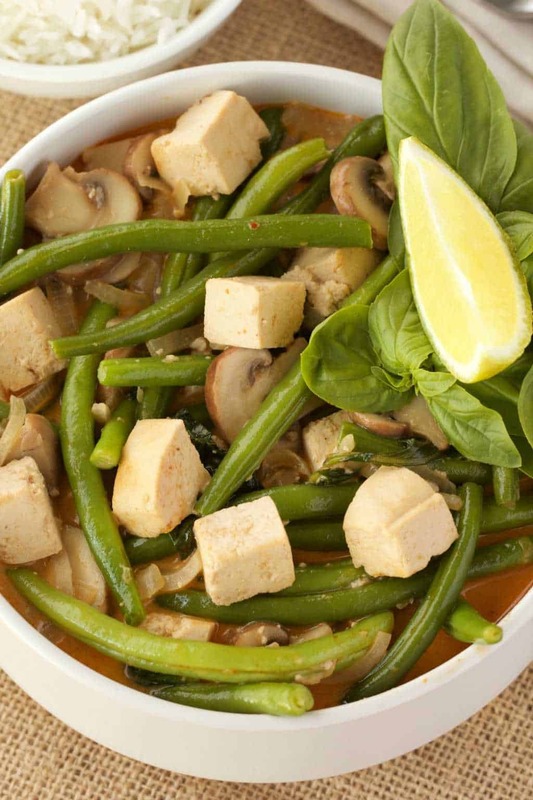 *Use gluten-free soy sauce or tamari to make this meal gluten-free. *Nutritional information doesn’t include rice. 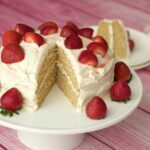 Love making this recipe. It’s a favourite in our household now. 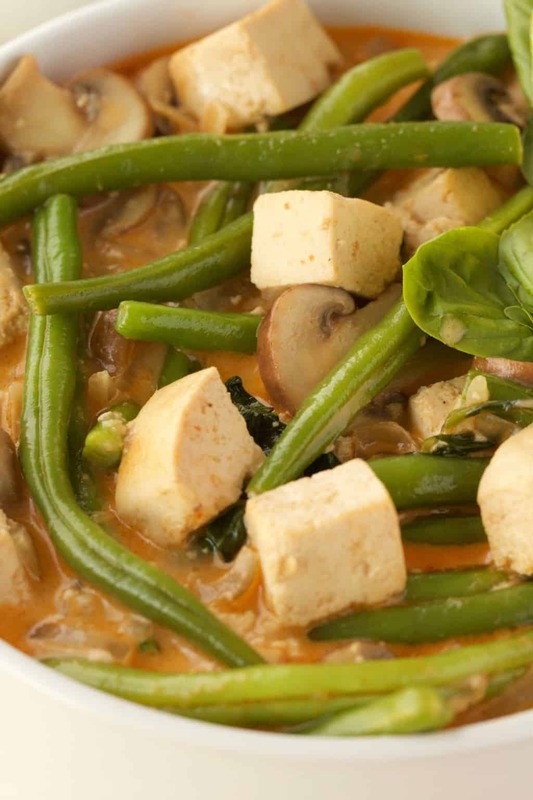 I have previously eaten a lot of thai curries in the omnivore form but never vegan. It’s great. Textures and tastes go very well together. My 10 year old loved it too. Very inexpensive which is a bonus. 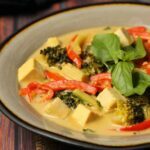 I just made this with broccoli instead of mushrooms and it turned out great! I will definitely be making this again.